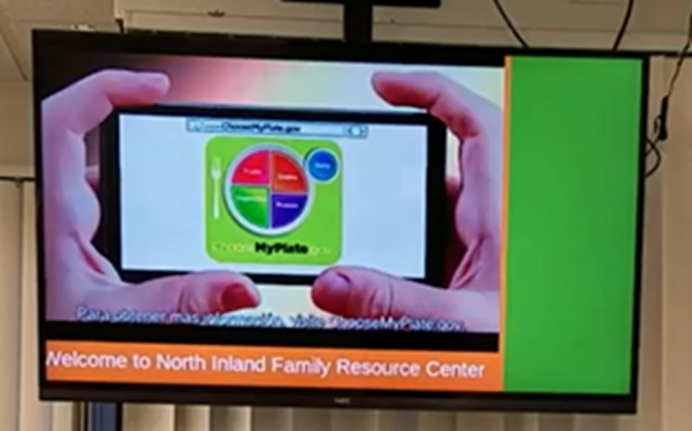 During the summer of 2018, Nutrition Education and Obesity Prevention (NEOP) Specialists in North County started a new partnership with the Family Resource Centers (FRC) in North Coastal and North Inland Regions to provide nutrition resources to families participating in CalFresh. This collaboration promotes health and well-being in health centers and encourages families to make healthier decisions at home. The three main nutrition education projects include playing health-related videos on the televisions in the lobbies, distributing healthy food tip sheets and recipe cards in the intake rooms, and providing ongoing, in-person nutrition education to the FRC staff. Topics include eating healthy on a budget, consuming less sugar, eating more fruits and vegetables, choosing low-fat dairy, limiting sodium intake, and promoting physical activity. Additionally, NEOP Specialists are working to solidify partnerships and implement a system for sharing NEOP information among managers and staff who will help track the dissemination of educational materials. 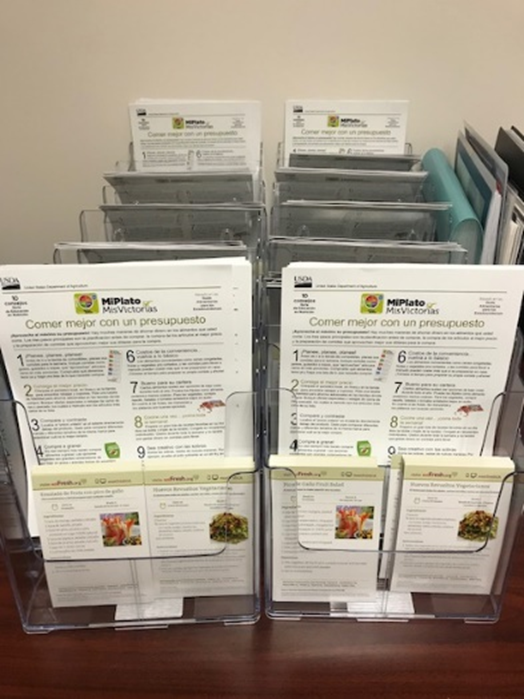 “The collaboration between the FRCs and NEOP increases the impact of Nutrition Education outreach to customers by over 120 [customers] a day per FRC, successfully connecting families with nutrition resources! In addition, 400 families represented by FRC staff are given the opportunity to explore healthy eating through the NEOP materials,” said the North Coastal FRC manager. Through the NEOP and FRC collaboration, North Region residents are encouraged to Live Well. For more information, contact Barbara Hughes at Barbara.Hughes@sdcounty.ca.gov.